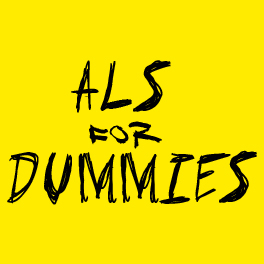 Theoretically, ALS as a disease will not cause skin problems, at least not directly. However, undernutrition, which can happens at a certain stage of the disease, can be quite problematic for the skin when combinated to partial or total immobilization. If we do not watch out, skin damage can happen quite fast, and we must at all costs prevent the apparition of bed sores. 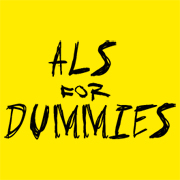 If you don’t have undernutrition issues – thanks to a gastrostomy for example – but that some of your limbs are immobilized, mere massages on points of support should be enough. They can be performed with any massage oil or cream, several times a day, as often as you like. However, if you lose a lot of weight, measures should be undertaken. First, you have to acquire a proper mattress. A high-risk pressure relief mattress should be enough: check with your insurance if they can cover it. If weight loss gets too important, you’ll have to turn to higher tech pressure relief mattresses. Powered air mattresses are the best in this field and a lot of progress has been done lately, especially in terms of comfort. In addition, a strict protocol against bed sores must be applied. At least two or three position changes everyday. Support points should be massaged at least every 6 hours with Sanyrene or another oil or cream, the most important being the mechanics of the massage, disregarding the used substance. Above all, support points must be watched over regularly. If they are red and stay that way after a pressure from the finger, it means there could be the beginning of a bed sore. A medical professional should be consulted as soon as possible, but nurses being the professionals teaching prevention, they are very knowledgeable about these issues. Note that bed sores increase nutritional needs. A vicious circle is quick to settle, so be particularly watchful. As far as I know, nothing is more efficient to avoid this kind of problems than to gain weight. I refer you to the article on gastrostomy. When it comes to other problems like pain (heels and elbows in particular), limbs falling asleep, ankylosis… We all have our little tricks. Memory foam, cushions, orthotics that will leave the painful part in the air… the best being recurrent position changes. For those who can’t get rid of pain, in the heels in particular, air cushions can be of great help. Do not hesitate to consult an occupational therapist, they will be able to deliver very sound advice. Protective creams such as Conveen will create a second layer of skin and are quite protective, especially against rashes in wet zones. But they can be badly refunded depending on your coverage. I experienced all of this in spite of myself, and once again, don’t make the same mistake : if you watch over your weight, skin issues will be gone.